$5.80 ea. $3.93 ea. $3.08 ea. $2.25 ea. 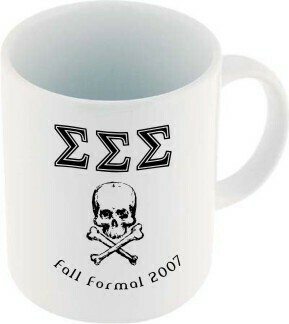 Make your morning coffee ritual even better with a custom printed coffee mug from Greek Gear. 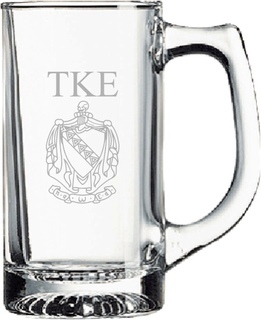 Our printed white ceramic mugs can be customized with your choice of Greek letters, crests and clip art images, making it easy to commemorate a special event or show your support for your favorite fraternity or sorority. 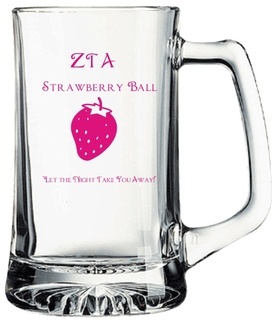 These mugs also make great gifts or promotional items for schools, homecoming, weddings and more. The high-quality coffee mugs are precision printed with your own design and are priced low to make your mornings more enjoyable. To get started, click on the blue "Customize This Product" button for no-obligation access to our online designer. Not feeling creative? Our design team can help. Just let us know what you want on your coffee mug and we'll do the rest. Think others would love your design? We offer bulk pricing and a low minimum order of just 12 pieces. 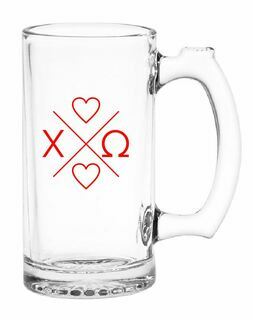 Please note, there is a $40 setup fee on all custom glassware. Printing is in one color only.